I am fishing since 1996. I started when I was 6 years old. Ten years ago I found a new challenge for me: it was fly fishing. My passion is catching big predators on the fly because the predators are difficult to trick on and the combat is really impressively. The combat is the reason why i like salt water fishing too. And what i like most about it is that after the catch i release the fish back to his element. At the moment my home waters are the river GAIL and the river Drau. 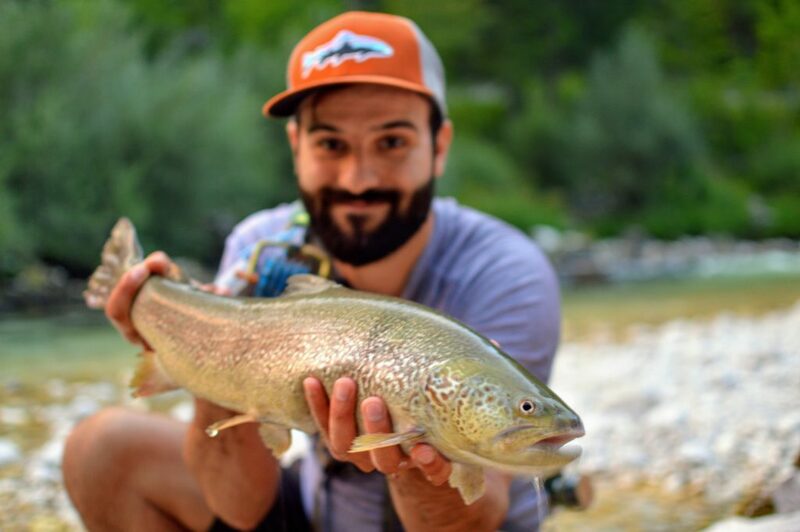 River Gail is my favorite place to catch big Danube salmon (HUCHOHUCHO), in this river I can also fish graylings and big trouts. The Drau is the largest river in carinthia and is beside others home to big gralyings. The height of the season for me is the yearly start of the hucho season. The start is the first of June in carinthia! What time of year is your personal favorite? My favorite time is the autumn! My favorite travel destinations are the Bahamas, Slovenia, Italy as well as southern France. On my bucket list are a lot of destinations. To name a few: Belize, Venezuela, Spain, Sweden, the USA, BC and Mongolia. My one and only at the moment is a custom made 2 hand rod to fish huchohucho. My favorite fly is a streamer made with polar fox, buck tail and hackles.